In a response to the protection nearby Fort Richmond offered, the town of Bowdoinham prospered from the late 1700’s and onward. Farming, industry and shipbuilding were very successful up until the last ship was built in 1912. Merrymeeting Bay, which is located within Bowdoinham is a unique natural occurence. It drains 40 percent of Maine and is almost completely made up of freshwater. It is an important waterfowl habitat and harbors many endangered fish species. 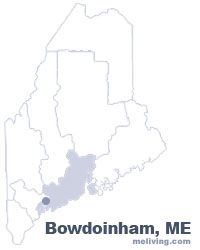 To share any Bowdoinham, Maine information with us, please contact us. Learn more about advertising in MELiving.